Recognizing that the welfare of our society depends on the health and wellness of its children. Sustainers, actives, and first-year provisionals at a monthly membership meeting. Committee chairs and board members at our annual leadership training. 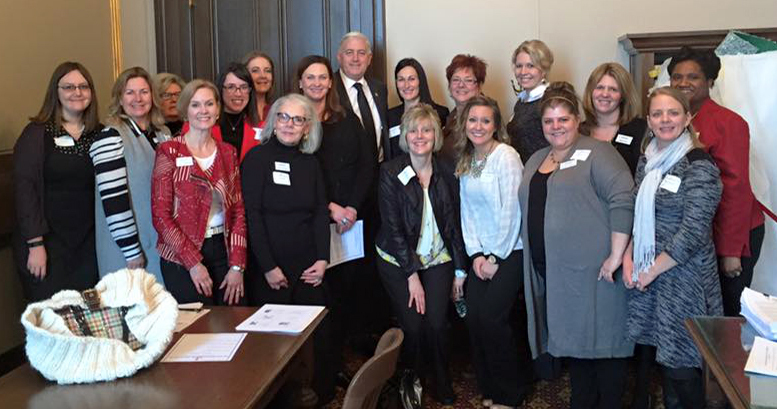 League members with Senator Ken Horn at the annual Day at the Capitol event. Volunteering at the annual Go the Extra Mile for Covenant Kids event. 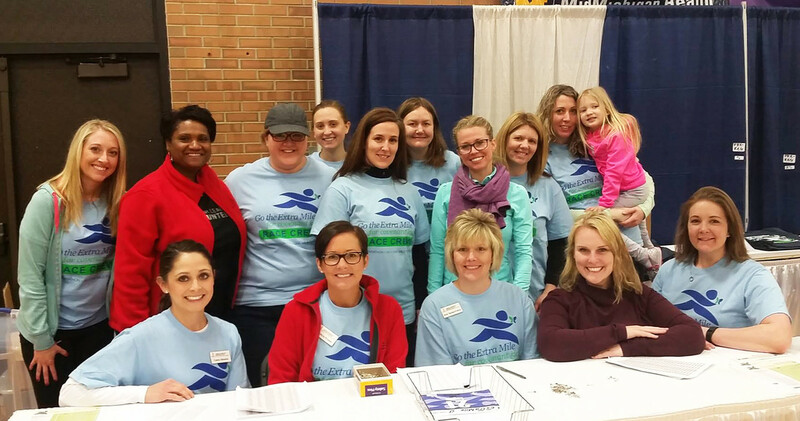 The Junior League partners with other community organizations to promote physical fitness while promoting healthy self-esteem and self-image in children. 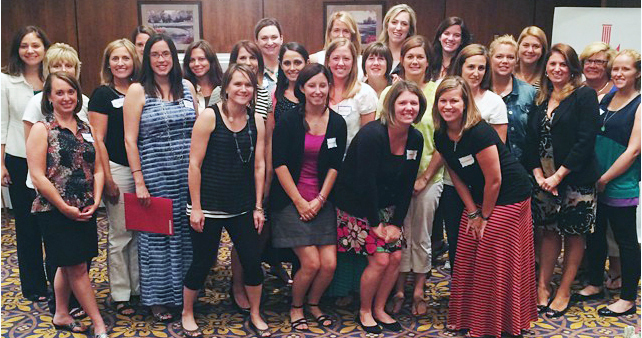 Each year, the Junior League hosts or participates in several Done in a Meetings and Done in a Day events. 2018 Festival of Trees is Nov 9-11 at Apple Mountain in Freeland, MI. Find out more here. 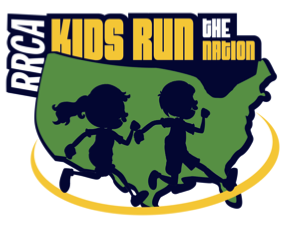 Kids Run the Nation promotes healthy self-esteem and self-image through physical fitness for children in K-6th grade. It is a 10-week, gender-inclusive, after-school program adopted and operated by the Junior League of the Great Lakes Bay Region. 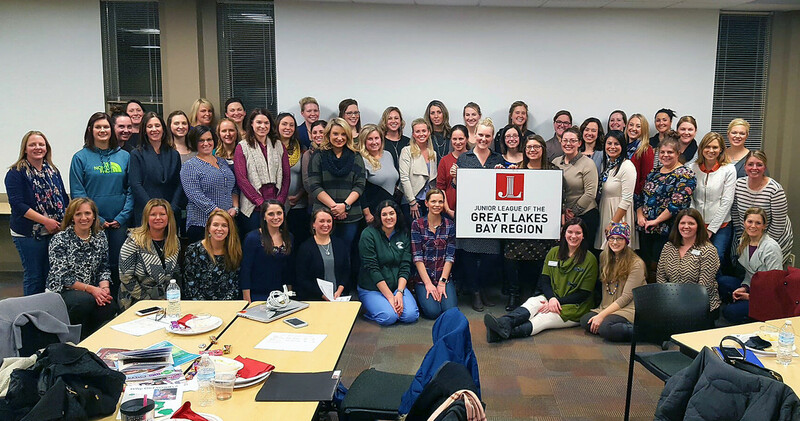 The Junior League of the Great Lakes Bay Region is an organization of women committed to promoting voluntarism, developing the potential of women and improving the community through the effective action and leadership of trained volunteers. Its purpose is exclusively educational and charitable. We live in the Great Lakes Bay Region and share a common commitment - to improve the quality of life in our community. Join us! 85 Years of Service in 2019! Highlights from the 2017-2018 League year.